Short Photo Report – My First Ever DC-8 | Achtung, Skyhawk! Though I’ve had my fair share of off-topic airliner posts on here recently, I decided I might just as well get away with another one before normal GA service is resumed 😀 (and with a lengthy in-flight photo post at that). 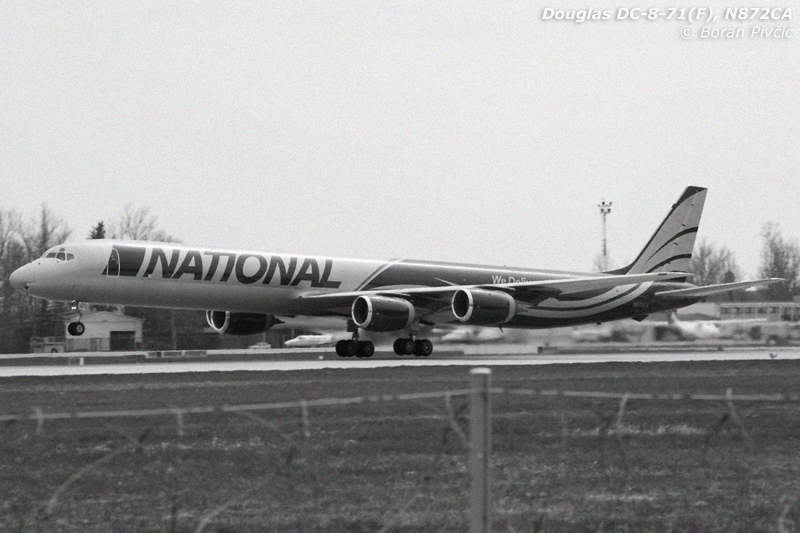 The reason for this latest deviation from the norm is another very rare visitor that had popped into Zagreb just the other day – one of the most beautiful classic jetliners to ever take to the skies, the inimitable Douglas DC-8 :). 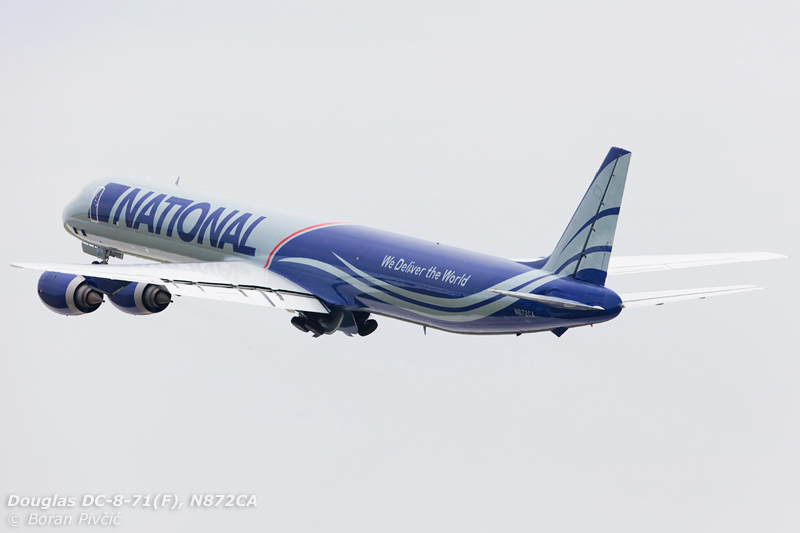 Even though I was naturally thrilled to see my first ever Diesel 8, I was a bit disappointed that it was not one of the “full fat” older generation models, but an upgraded DC-8-71(F) freighter operated by National Airlines of the US. Factory-modified with CFM International CFM-56 high-bypass turbofan engines – and I believe even an EFIS cockpit 🙂 – the -71(F) lacks the charisma and presence of the older JT3 turbojet models; but it was a DC-8 nonetheless, so I was naturally set and ready with my camera when it decided to depart :D.